Head over to get one of these Snap Button Cardigans for ONLY $12.99 (Retail $32.99)! 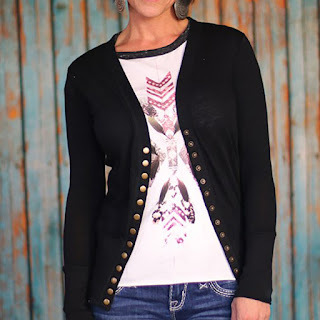 This is the perfect cardigan for spring and summer! Everyone needs a solid color go-to cardigan and this is this seasons must have! The long length and studded snap details make this the easiest way to finish off your outfit each day. You can keep this super simple with your favorite print or basic tee or dress it up and go a little fancier to dinner with your friends or husband with a collared shirt. This is hands down our favorite and most versatile in creating multiple looks.